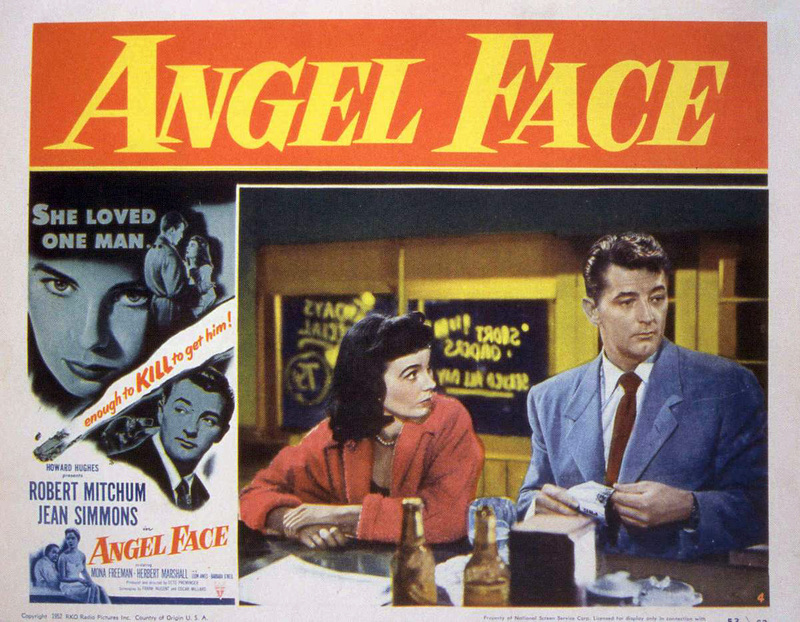 Angel Face is a classic film noir directed by Otto Preminger from RKO while Howard Hughes was the head of the studio. 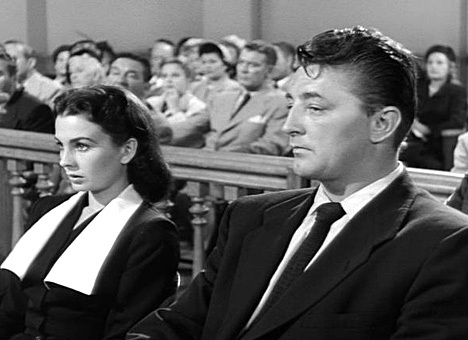 The story revolves around Robert Mitchum who is an ambulance driver and a young women with issues played by Jean Simmons. This film starts with Mitchum as an Ambulance driver, on a call at a mansion. The lady of the house had a close call with a gas leak, but seems OK now. Mitchum goes down stairs and talks to Simmons, this is where the infamous slapping scene happens. Hughes was not happy with Simmons and put her in this film at the end of her contract. He hired Preminger to make her life a living hell. Preminger made Mitchum slap Simmons over and over again to get the right take. Mitchum finally walked over to Preminger and slapped him full force asking if that is the way he wanted it. Simmons later in life still could not watch this film because of the hell she went through making it. The only thing she loved about this film was Mitchum. In the film Simmons befriends Mitchum and gets him a job as the driver for her Father and Step-Mother. Soon her Step-Mother and Father dies in a horrible car accident. It looks like the car was sabotaged and our couple is the prime suspects. Simmons plays one of the best femme fatale in noir history in this film and Mitchum is great as always. The ending is one of the bleakest of all time as well. The story is good and over all the film is above average. Well worth your time if you are a fan of film noir or one of the two stars. Favorite Tidbit: Simmons cut her hair short, knowing Howard Hughes hated his leading ladies having short hair. She thought this would get her out of her contract with RKO. Instead Hughes made her wear a horrible wig through out this film. Great writeup! I liked it a lot — as I do the movie. You’re doing sterling stuff on this site — many thanks. Engaging post. I recently watched this film along with Preminger’s Fallen Angel and was going to use them for a live tweet double bill…then I read the backstory on Hughes and Simmons and all the misery in the production. Can’t watch it now, though she’s wonderful and so is Mitchum. good info. I just watched this a couple of weeks ago for the second time. It is very good and very bleak. Good report. Looking forward to seeing it when I can find it. Just watched this film for the first time relatively recently and found it thoroughly enjoyable. Good write up!